Our unique knowledge of visa requirements and connections in the region enable us to provide you with the highest level of expertise and support to ensure a successful trip, be it for business or for pleasure. Our dedicated agents are available to assist you five days a week and our office is based in central Kuala Lumpur. We can offer an unmatchable visa procurement service and would be happy to advice on all aspects of business and tourist travel. 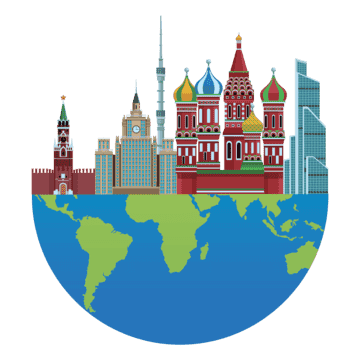 A smooth Russian visa application process requires a clear understanding of the step-by-step lodging procedure as well as the necessary set of the documents. Using our 10 years’ experience, we ensures that all your forms are in the right order and completed in accordance with the standards of The Russian Consulate, which minimises the possibility of visa rejection. You can start your visa processing 3 months prior to entering Russia. Please check whether you Require a visa to enter Russia or whether your nationality falls into one of the Visa-free regime nationalities to enter Russia. Please check if you are Eligible to apply for a Russian visa in Malaysia (for non-Malaysian passport holders). Please check if you have at least two empty pages in your passport and it is valid for at least six months from the date of exiting Russia. A tourist visa is granted for the purpose of tourism (sightseeing, leisure). For additional information, fees and the list of the required documents, please refer to the Tourist visa requirements and fees page. A business visa is granted for individuals going to Russia for business purposes. For additional information, fees and the list of the required documents, please refer to the Business visa requirements and fees page. In person at our office; Our opening hours are 9.00 AM to 06.00 PM Monday to Friday. Don’t have time to deliver your documentation to us directly? Can’t find a courier service?? No worries! Just call 012-2223800 or 03-2164 5555 or e-mail info@russianvisa.com.my us and for a small fee, we will collect your documentation from you!! Our courier will deliver your passport back to you with a visa in it.